A fashion trend that seems to be timeless is wearing big, stylish earrings. Celebrities like Beyonce Knowles and Alicia Keys have been photographed wearing large hoops and dangling designer earrings. 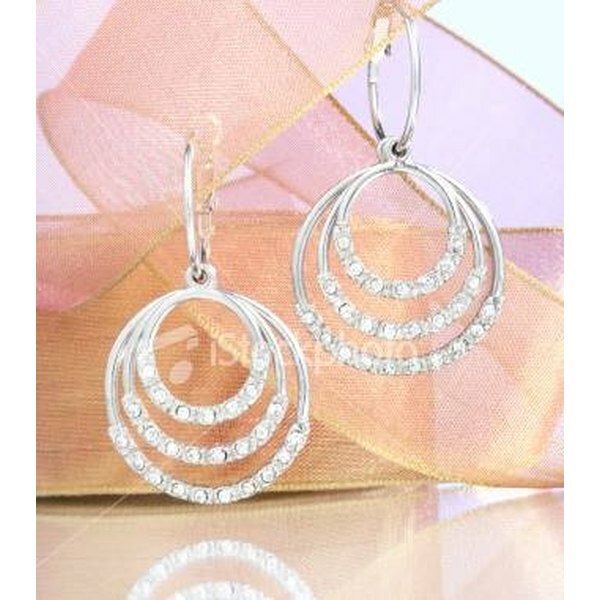 Along with making a fashion statement, women use these big earrings to enhance their appearance. There are a more than a few reasons why women wear big earrings. Women who think that their ears are too large wear big earrings. This distracts the focus from a large ear to the earring itself. Over time an earlobe can be stretched by wearing heavy jewelry and the earlobe naturally gets bigger as you get older. Wearing a large oval or gemstone earring can correct this problem and hide the earlobe. Women who have just had surgical otoplasty, or cosmetic ear surgery, are wearing bigger earrings. This surgery corrects a sagging earlobe and dramatically changes the lobe appearance. After the surgery, women opt to wear earrings to show off their new and improved ears. Otoplasty is becoming one of the most popular surgeries done by physicians today. Although wearing big earrings has always been stylish, these types of trends can change. For several months wearing a bigger hoop earring might be in style. Then the trend may change to a long, dangling diamond earring. Celebrities can also have an effect on what big earrings are in style now. If they are seen wearing a specific earring, it quickly becomes a must-have item. Women that otherwise may not use big earrings wear them to special events. These events can be a wedding or the prom. The earrings worn on special occasions usually match other jewelry such as a necklace or bracelet for an overall complete look. Most women have a day when their hair will not conform to a style. Instead of just pulling the hair sharply back into a pony tail or bun, they include big earrings as a way to more look feminine. The large earrings replace the hair and frame the face in a flattering way.